Stampin with Mel: Kylie Bertucci's International Blog Highlight - I would really appreciate your vote! Kylie Bertucci's International Blog Highlight - I would really appreciate your vote! For details on this card click HERE ! 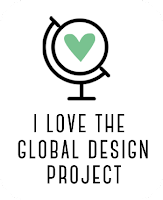 Global Design Project special mention! !